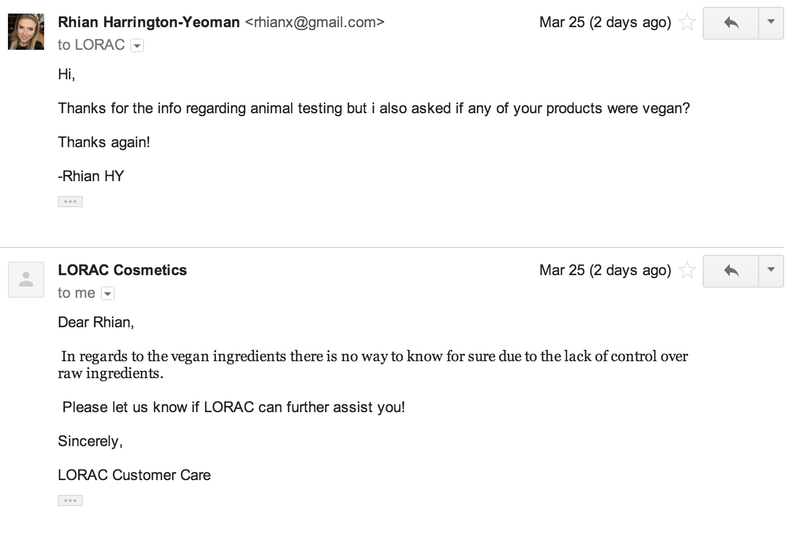 After being gifted the LORAC pro to go palette i was eager to find out about their cruelty free items so i sent them a variation on the usual inquiry and here's what i got back. 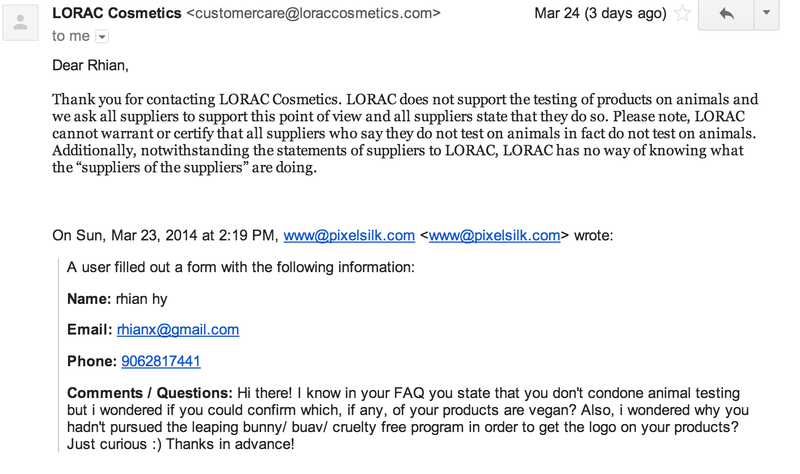 Sort of sounds like "we're claiming ignorance and blaming our suppliers", right? Not addressing the vegan question either. I guess we will remain none-the-wiser then.